Every Day A Lot Of Apps And Games Upload To Google Play Store. It’s Too Hard For An Individual To Keep Track All Latest Apps, Games. We Help You By Picking Best Apps, Games For You. This 2nd MG Picks Edition Includes 3 Games And 2 Apps. 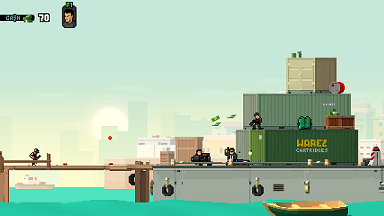 New Games Includes-Hot Guns, Cat Bird And World Of Prandise. New Apps Includes- Screen Recorder And Split- Screen Creator. Let’s Start A Brief Review Of These Listed Apps, Games. This New Game Comes With A Gamepad Like Mode, Under Shotting Category. Hots Guns Is Free To Play, Can Be Play Offline As Well. Your Goal Is To Collect Coins, Guns, Shoot Enemies And Reach To The Last Point. Game Also Supports Bluetooth Controllers. Game Controls Are – Left Move, Right Move, Jump, Shoot, And Throw Handed Gun. Prevent Yourself From Your Gun Explosion Also Because They’re Too Powerful. Shooting On Oil Tank Cause Explosive Blast That Is Amazing. You Should Try. 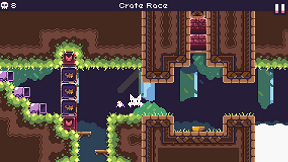 Cat Bird Is A New Adventure Game For Your Android, Available On Play Store For Free. There Is Cat Who Can Fly Like A Bird. Your Goal Is To Reach Cat Home Which Is A Black Hole. Long Pressing Make Cat To Fly. More Than 40 Levels Are Available In This Game, Unique Traps, Enemies And Game Has A Lots Of Fun. World Of Prandise Beta Is Unreleased Yet But Developer Is Providing Early Access To Get Feedback For The Game. There Is A Seamless Open World Where You Can Fly Anywhere. 2 Regions Vir And Femina, 3 Tribes, 6 Classes, 4000 Monsters And Game Has A Lots Of Stuff And Fun. 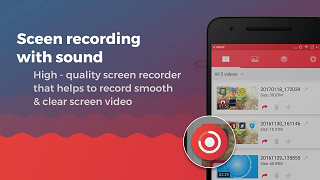 This New Screen Recorder Has All Features That A Screen Recorder Must Have. This One Comes With DU Screen Recorder Like User Interference But Does Not Have All Features Like DU Screen Recorder. You Can Record Your Screen In 1080 P And Lower Resolution. You Can Take Screenshot And Add Blur On It. Face Cam Also Supported. You Can Edit Video After Recording. Editor Includes- Trim, Effects, Speed And Add Music Like Features. This App Brings Samsung Galaxy Note 8’s App Pair Feature To Your Android Device. Split- Screen Creator Allow Users To Launch Two Apps In Multi Window Separately Automatically. You Just Need To Create A Shortcut With This App-Add Two Apps. That’s It. 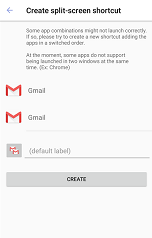 You Can Even Launch The Same App In Two Different Modes Like Gmail App And Gmail Label. It’s Too Useful.